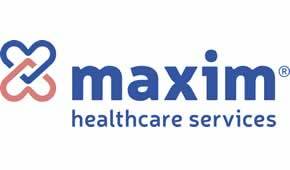 At Maxim, we’re happy to be able to provide a comprehensive portfolio of services that are designed to meet the needs of our patients, families and customers. That means you can come to Maxim for all your care needs, including home healthcare and personal caregiving services. And corporate or government clients have one stop for anything from healthcare staffing or flu shot clinics, to revenue cycle management and health information management systems, and so much more.